Whether you’re planning on hiring internally or externally, in order to hire the best candidate, one thing HR professionals and hiring managers should keep in mind is to host great interviews and be efficient. 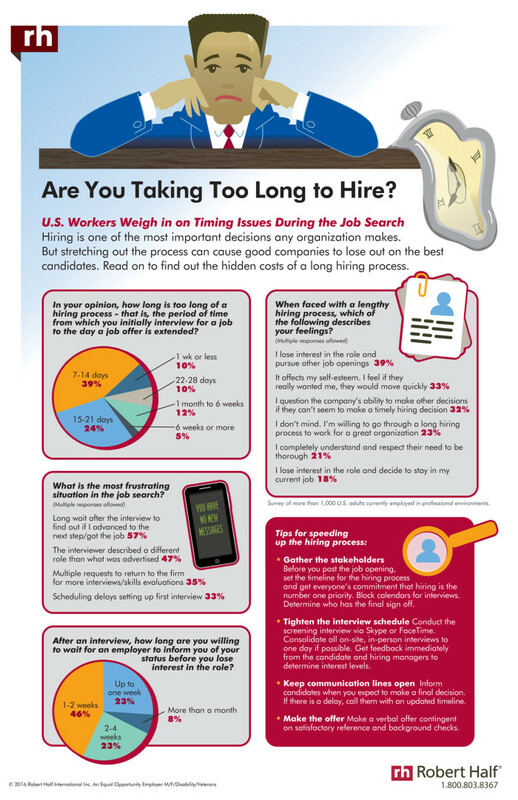 According to Robert Half’s “Time to Hire” survey, when it comes to hiring, timing is everything and it makes the difference between securing the candidate and losing out. 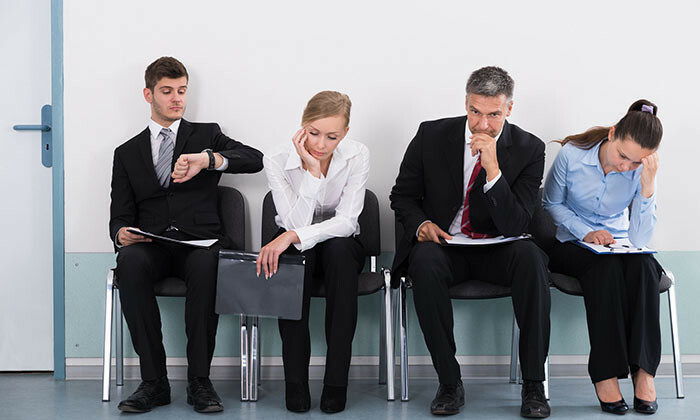 Surveying more than 1,000 U.S. workers currently employed in office environments, 57% of them revealed that the most frustrating part of the job search is the long wait after an interview to hear if they got the job. Nearly a quarter (23%) of respondents would lose interest in the firm if they don’t hear back within one week after the initial interview while another 46% lose interest if there’s no status update from one-to-two weeks post-interview. When faced with a lengthy hiring process, 39% of respondents reported that they would lose interest and pursue other roles, while 18% revealed that they are likely to stay put in their current job. ALSO READ: Which country takes the longest to hire candidates? “Professionals in fields such as compliance, cybersecurity, big data and finance can receive four to six offers within a week,” said Paul McDonald, senior executive director of Robert Half. To make things worse, 32% said a protracted hiring process makes them question the organisation’s ability to make other decisions. But how long is too long? The survey pointed out that golden time frame to respond back to your candidates is one week after the initial interview. The survey found that from the day of the initial interview to the day an offer is extended, 39% of workers said a process lasting 7-14 days is too long while about a quarter (24%) of respondents felt a timeframe of 15-21 days was too lengthy. “The key takeaway is for firms to tighten their timelines without skipping steps,” McDonald said. Set the timeline for the hiring process and get everyone’s commitment that hiring is the number one priority. Block calendars for interviews. Review the job description and salary range, noting where you can flex for the right candidate. Create a contingency plan to address any scheduling snafus and determine who has the final sign off. Conduct the screening interview via Skype or FaceTime. Consolidate on-site, in-person interviews to one day if possible. Get feedback immediately from the candidate and hiring managers to determine interest levels. Inform candidates when you expect to make a final decision. If there is a delay, call them to give them an updated timeline. Silence can indicate a lack of interest and encourage people to pursue other roles. Make a verbal offer contingent on satisfactory reference and background checks. Be prepared to negotiate salary and perks, and set the start date.